The music box TV is a toy introduced in the 1960s and 1970s for children between the ages of 12 months and four years. They enjoyed success with their moving images and musical tunes, but faded from popularity as other interactive toys came on the market. However, the music box TV is beginning to make a comeback. In a world where children grow up around moving images on iPad screens and smart phones, the music box TV provides a way for small children to get that same visual stimulation in a non-technological toy. Generally speaking, a music box TV looks like a small, portable television set. It has a screen and a couple of knobs that control the toy. On the screen is an image that moves across to the music that is played from the speaker. Usually the toy will play two different songs, but different models may have more or fewer songs that they play. 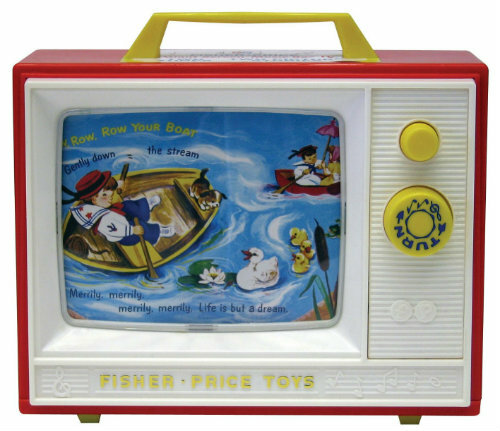 Fisher Price was a big manufacturer of music box TVs in the late 1960s and 1970s. Today, they are beginning to make the toys again, which may be purchased at Toys R Us. Their Two Tune Music Box TV plays classic children’s melodies while pictures scroll across the screen. 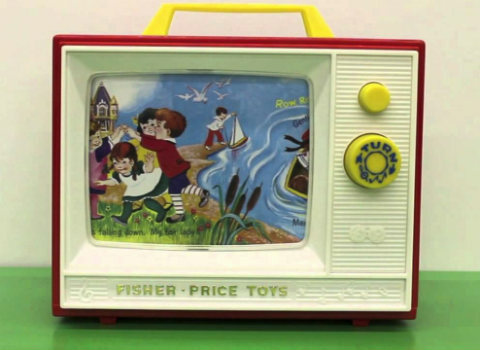 For a more nostalgic touch, it is possible to purchase the older Fisher Price music box TVs online at sites like eBay. These older toys are still, in many cases, still in great working condition. The differences between one toy versus another is the songs that are played and the image that scrolls across the screen. Music box TVs are a great collectible item from the 1960s. But the new toys may be more appropriate for children, today. Either way, this toy was advanced for the time in which it first came out, and it is beginning to make a comeback as a toy of choice for children aged one to five years,as well as adults who are nostalgic for this sort of thing.